Some students learn by reading. Some learn by seeing. Others learn by doing. Interactive digital displays and monitors are the perfect tool to reach all three types of learners. Students can read, see, and interact with the information presented by the teacher. In so doing, the lessons are better imprinted upon their brains, and many of those students can begin to make applications with the knowledge they have gained. 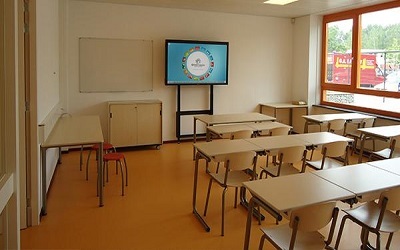 Interactive digital signage or touch monitors aren’t found inside the classroom alone. Many school campuses use touch-integrated monitors and displays as wayfinding devices. Those devices might provide directions for the entire campus or for a specific building. Digital signage also might be used to broadcast campus-wide messages, such as emergency notifications or news about upcoming events.